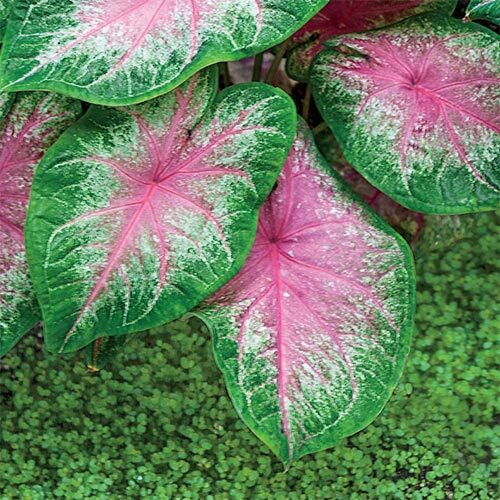 Pink, heart-shaped leaves surrounded by white and a broad green edge. 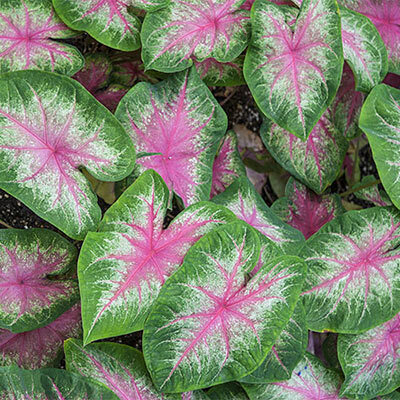 Large peltate heart-shaped leaves with colorful membranes. 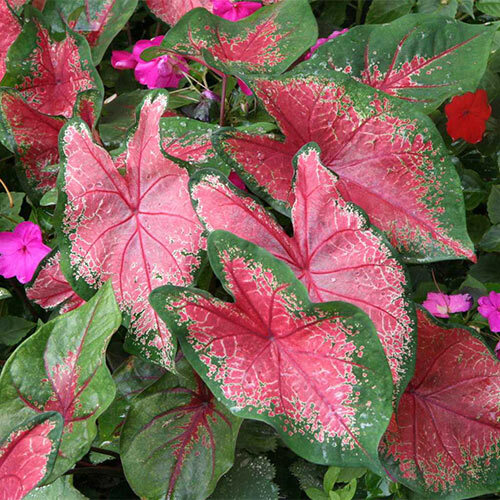 Leaves are pink surrounded by white and a broad green edge.